Family Time: Your backyard paradise is a great place to spend family time. From the kids to the grandparents, everyone in your family can enjoy soaking up the sun poolside. Exercise: Your pool is a great place to stay healthy. Anyone can benefit from taking a few laps in the pool – and your heart and joints will thank you! Relaxation: After a long day, there’s no better place to unwind than by the pool. Whether it’s soaking up the sun in the summer or curled up with hot chocolate in the winter, your pool is a great place to relax. Ambiance: Not only is your pool fun, it looks great too! Having a pool in your backyard can transform a boring piece of land into a relaxing oasis. Memories: Your Aqua Blue Pool is a great place to make memories that will last a lifetime. Whether it’s a neighborhood BBQ, birthday party, or quiet dinner, your pool deck is the perfect setting. As your local pool builder, we would like to take the time to thank our customers new and old. Founded in the 1960s, we’re proud to still be serving Brevard County today. Although a lot has changed since the 1960s, at Aqua Blue Pools the same family still works to make backyard dreams a reality for households throughout Central Florida. 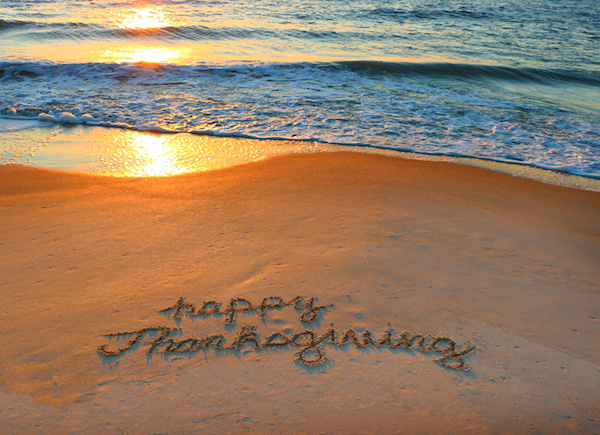 From all of us here at Aqua Blue, we wish you and your family a happy and healthy Thanksgiving!